Engine is dissolving its agency brands, including WCRS and Partners Andrews Aldridge. The business is planning to unveil a new “integrated” model next year and is currently in the process of ironing out the finer details, Campaign has learned. It will also mean that branded experience shop Slice and sponsorship agency Synergy will no longer exist as separate entities. Engine has not yet confirmed the full leadership team, but Jim Moffatt, who was appointed chief executive for Europe and Asia-Pacific last month, will lead the UK business. Matt Edwards, chief executive of WCRS, will lead one of the divisions, while Pete Edwards, chief strategy officer at Engine, is to leave. The restructure is understood not to impact the group’s PR agencies, MHP and Mischief. Engine’s president, Robin Wight, co-founded WCRS 39 years ago with Ron Collins, Andrew Rutherford and Peter Scott. The shop was named one of the best 20 agencies of all time in Campaign‘s 50th anniversary issue. 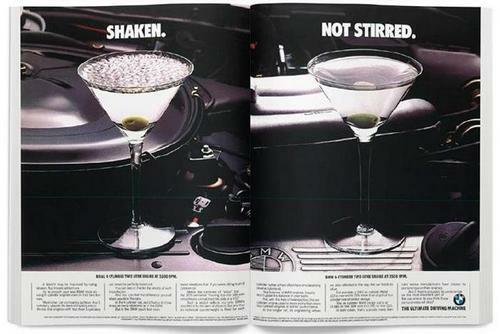 WCRS has produced some of the industry’s most well-known work, including “Shaken not stirred” for BMW in 1984. The shop handled the account for 35 years, until it moved to FCB Inferno in 2014. It has also produced “Believe in better” for Sky and “The future’s bright, the future’s Orange” for the erstwhile mobile network. PAA was founded in 1998 and has been named Campaign’s Customer Engagement Agency of the Year three times. Its co-founder, Steve Aldridge, left the business last year to launch a start-up. A spokesman for Engine said: “We know that, increasingly, clients need smart solutions that span disciplines and require different capabilities assembled in new ways. The changes we are proposing are about bringing people and capabilities together to meet that client need. Next Article Can tobacco companies really play a role in helping people to quit smoking?